Some do, and others will, have an interest in this piece of Club history! 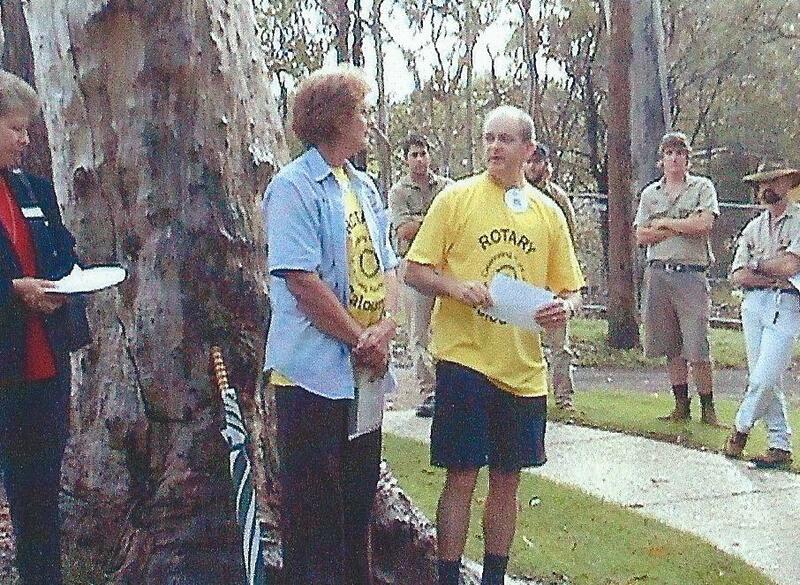 Two of our current members, President 2004-05 Ann Rattle and Mark Ward back on 9 November 2004 at the Official Opening of the BBQ picnic shelter, paving, and a sign at Ben Bennett Bushland Park which pays tribute to Charter Member Ben Bennett. Part of the Club's 50th anniversary celebrations and in conjunction with the celebrations to mark the 100th Anniversary of the commencement of Rotary International on 23 February 2005. 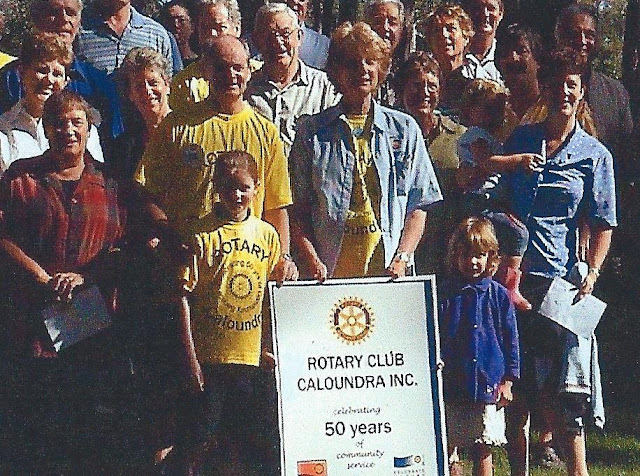 See more photos here and watch out for the story of Rotary's involvment with Ben Bennett Botanical Garden, now known as Ben Bennett Bushland Park. Les, Just what we needed, a member with a great love of finding out club history. I really appreciate what you are doing and the direction you are leading us. Keep up the input and I look forward to the next expansion.